Lorentson Manufacturing is the small company with a big presence. We are privately held, family owned, and woman owned and operated. Lorentson Manufacturing was founded in 1949, so our knowledge and expertise is unquestionable. We are ISO/TS 16949 certified and have had single digit PPM's with all of our customers for several years. Our tooling quality is unprecedented, and we maintenance all production tooling in house for the life of the tool. Please take the time to browse our web site to see our capabilities. We invite any and all questions, so feel free to contact us. "Technology Gives Us an Edge, Our People Make the difference." 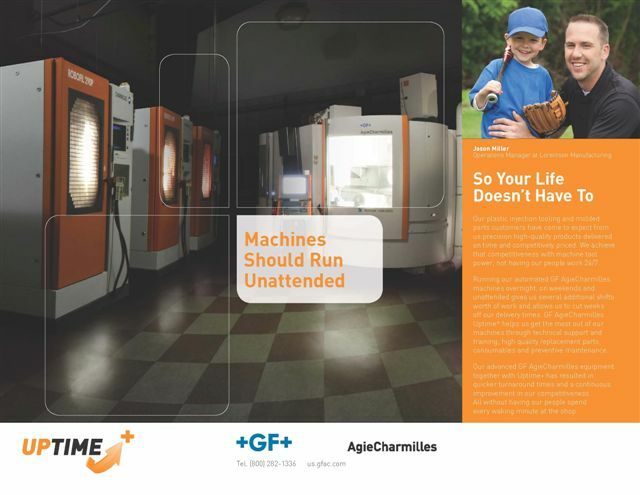 Click on the Ad to see us featured with AgieCharmille!